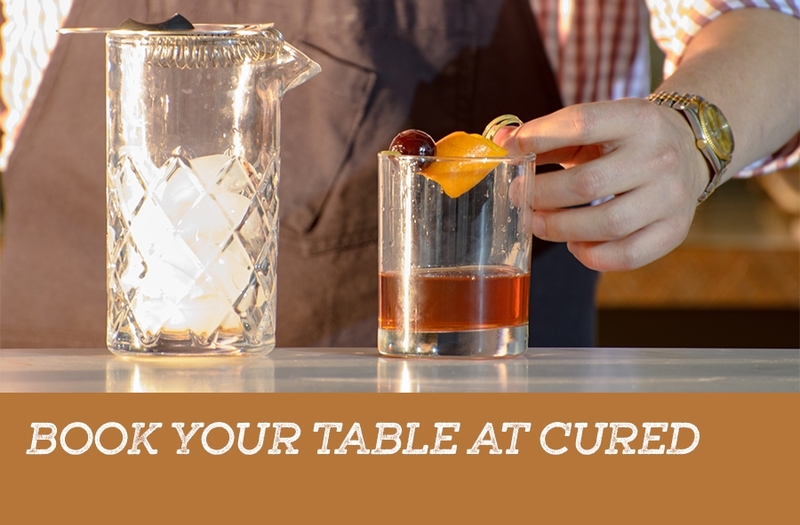 Reservations are available for both Cured and 18th & 21st by calling 667.786.7111. Or you can book online by using the links below. If you are unable to find your desired time or party size we encourage you to call. While computers are very smart, and super helpful, they don't seem to care like we do. We would be delighted to assist you in finding the perfect table for whatever the occasion. Please note that reservations for a party larger than sixteen guests will require booking a private space. Reservations for parties of eight or more will be given a single check at the end of the meal and a gratuity of 20% will be assessed. We would love to answer any questions you might have about accommodating your group when you call. Please note these links are different. If you are interested in booking a table at either restaurant you must use the corresponding link. Due to the nature of the experience at 18th & 21st we request that all diners be over the age of eighteen. Looking to book a party, happy hour, presentation, luncheon, rehearsal dinner, or get together? We have a variety of spaces available for groups of all sizes. Please click through to contact us to make your next event sensational!